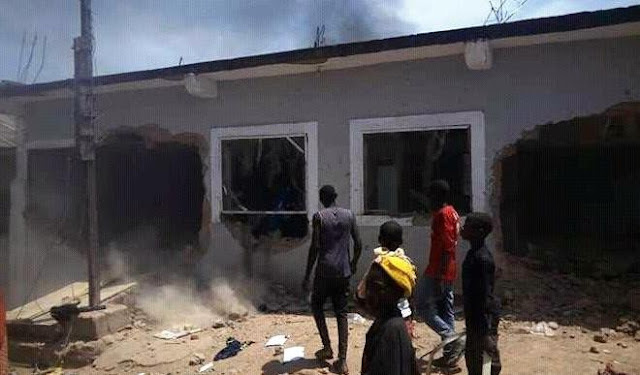 Residents of Anguwan Rogo in Jos North local government area of Plateau State, yesterday vandalized, burnt down and demolished a school belonging to the Shiites. Daily Trust gathered that most of the Shiites in the area have fled the community for fear that they will be identified and attacked by the angry residents. Operation Safe Haven Media and Information Officer, Captain Ikedichi Iweha, who confirmed the incident said the attack was a community mob action. Captain Iweha further stated that security agents have moved into communities in Anguwan rogo, Anguwan rimi, Bauchi road, Gangare, Katako where there are Shi’ite members to prevent breakdown of law and order.